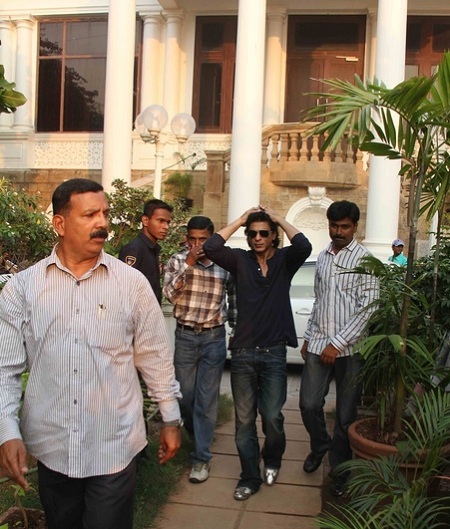 Photo of Shahrukh Khan in the compound of his house, “Mannat”. SRK’s bungalow has large columns. There is a nice lawn between the gate and the main house. I am fan of yours, I have just completed UGC NET with English literature.I want help from you.